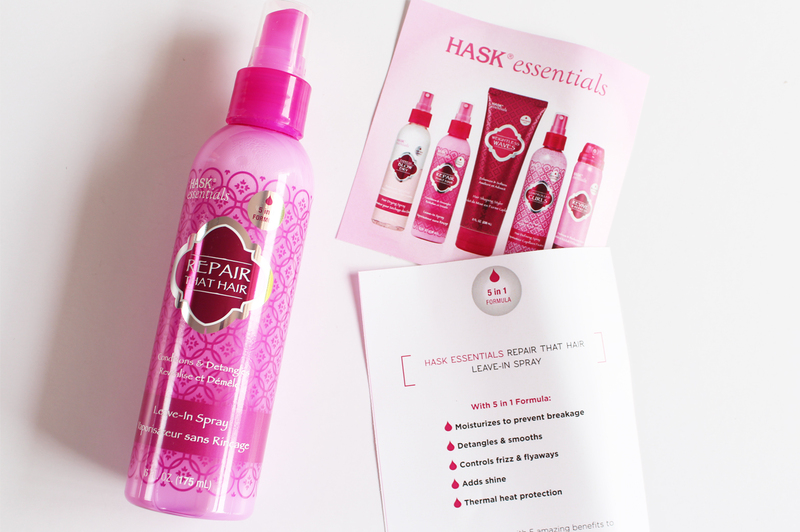 Despite seeing Hask Essentials products in stores, I've never tried the products at all. Luckily I was sent a couple items from their hair care lineup to try and now I am kicking myself for not using anything from the brand sooner. Not only are they affordable, they're easily available and the products work exactly as they promise. 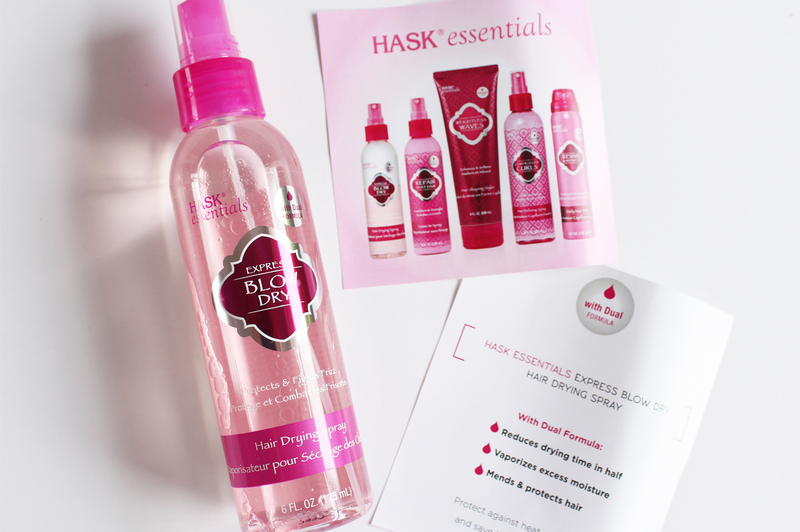 The pink bottles drew me in instantly, and the actual product inside sold me on how good Hask products can be. Every day I'll use a heat protectant spray and usually some kind of leave-in conditioner/serum product, but this Leave-In Spray is a convenient all-in-one product. It does five things in total; moisturises the hair, detangles and smoothes, controls frizz, adds shine and is a heat protectant as well. It's hard to believe that this product can do all of these things at once - but it does! 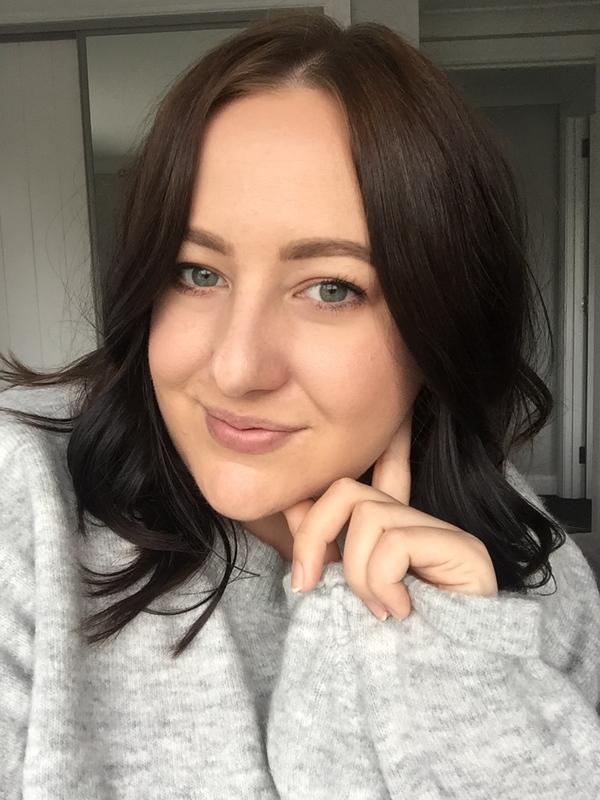 It feels lightweight and completely non-existant in the hair but definitely aids in adding moisture and keeping my hair soft and shiny through rigorous hair drying, curling or staightening and even helps the frizz during these very humid days we've been having in Auckland. All you gotta do is spray it on towel dried/damp hair and you're good to go! Although I really like the Leave-In Spray, this one has been my ultimate favourite since I received both of them and I'm already about halfway through the bottle! This basically aids in decreasing the dry time of the hair by evaporating water, and it really does work. I blow dry my hair every single day, and since it has been so hot lately, the last thing I want to do is stand with a hot hair dryer on my head for 5+ minutes. It helps speed up the process which I am totally on board with and it also acts as a heat protectant and detangler too. Spray on towel dried hair, and either blow dry or let it air dry. 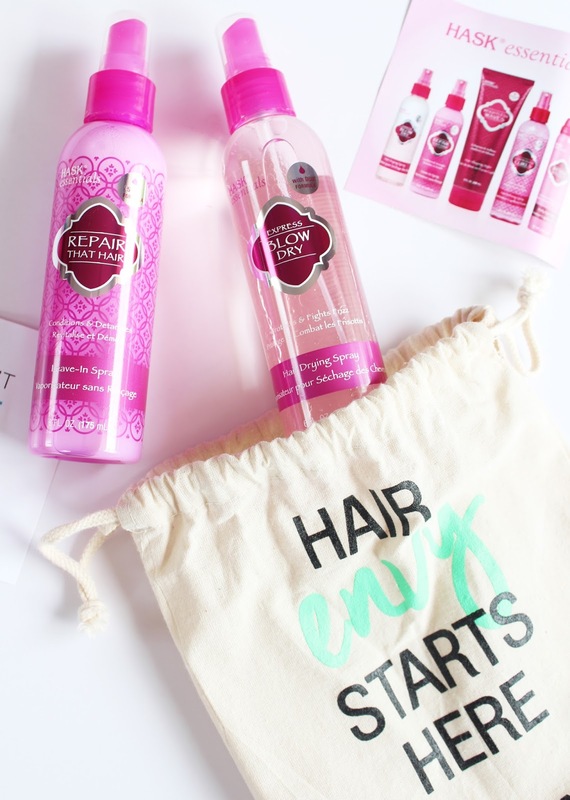 It would be ideal for anyone with thick hair that finds it takes their hair ages to dry! When I read about all the things these products could do, I thought surely they're not that good, but they have quickly become staple products in my haircare routine. This line of products also contains the Weightless Waves (a curl shaping styler), Controlled Curls (to define curls and elimante frizz) and the Revive & Refresh (a hair fragrance mist that eliminates odour and tames frizz and static). All of the products mentioned are only $16.99 and are available at Farmers, pharmacies, health stores and department stores. Have you used any Hask Essentials products before? What products can't you live without in your hair care routine?